Right now, the fastest trains on the Beijing-Shanghai HSR are those that have train numbers in are in the single digits — trains G1 to G4 are probably the fastest trains on Planet Earth, with just one intermediate stop in Nanjing (South Station / Nanjingnan). The new timetables, due to be in effect on 15 May 2016, will double these trains with train codes in the single digits and provide Beijing and Shanghai with newer, and faster, morning and late evening train services. 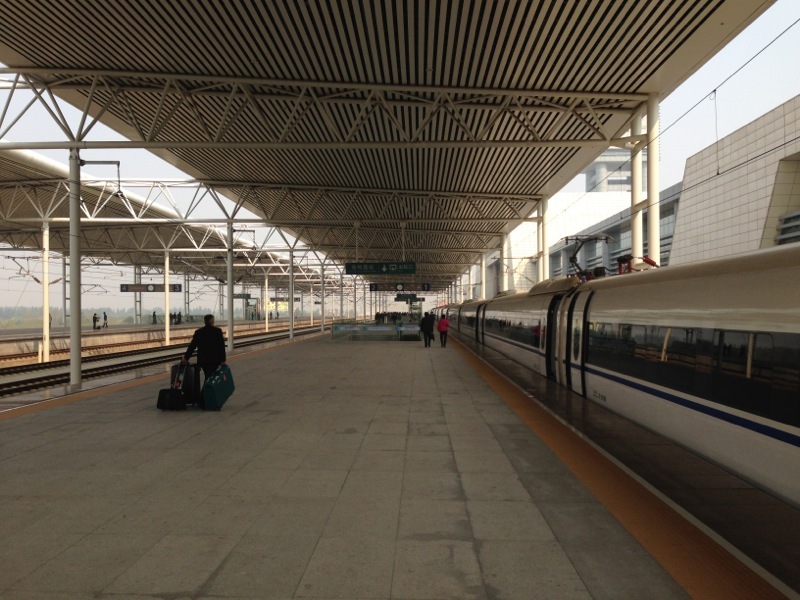 Unfortunately, the late arrival of these last trains will mean it will be too late to connect either to the Beijing Subway or the Shanghai Metro. We suggest you book a taxi in advance, or get family or friends to pick you up. This will mean that trains departing each city’s HSR terminus at 07:00, 09:00, 10:00, 11:00, 14:00, 15:00 and 19:00 are super-express trains that take less than 5 hours for the whole journey. Book early — as they are very likely going to be extremely popular!